Kandy, Sri Lanka -- The Goethe- Institut, the German Cultural Centre celebrates its 50th anniversary this year with several programmes related to Buddhism. Some of the events connected with the celebrations are connected with Kandy. 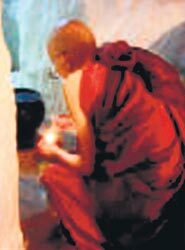 Ven Bhikku Sumedha Thera, the monk who passed away recently at the age of 70 spent many years living in a cave near Kandy. He was an artist of repute who aimed to visualize Buddhist thought and give it an aesthetic form. An exhibition of the work of Bhikku Sumedha curated by Cora Lang will be held at the Goethe Institut on August 21. It is titled 'The Truth is Unbelievable'. Taking place in Kandy itself will be a two-day seminar which is being held to coincide with the Kandy perahera on August 23 and 24. The conference theme 'Buddhism and Youth' will focus on the relationship between young people and religion particularly Buddhism, inter-religious dialogue and interactions between different cultures. The seminar will deal with specific forms of religiousness, violence and human dignity. The question of values- how do values arise and how does communication about them function- will be looked at. The Goethe Institut is working together with the Department for Pali and Buddhist Studies at the Peradeniya University for this event. Additional topics that will be discussed include: How strong is the influence of Buddhism (or any other religion) on the lifestyle of youth in Sri Lanka? Is the daily philosophy of the youth connected to or even determined by their religion? 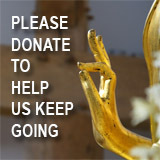 What role does Buddhism play when one is confronted with fundamental problems? 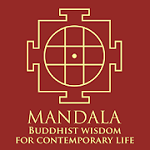 Buddhism is often portrayed as a tool, a recipe for life for the individual. In contrast to other religions Buddhism is seen as a way to solve one's problems oneself. But is it also relevant to the community? The seminar will be held in English.